Tuck Pointing VS. Repointing, What’s The Difference? 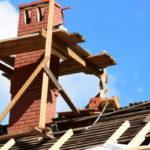 Tuck Pointing, Brick and Chimney Repair Toronto | Turnbull Masonry Ltd > Blog > Blog > Tuck Pointing VS Repointing, What’s The Difference? Tuck Pointing VS Repointing, What’s The Difference? Tuck-pointing and repointing are two terms often used interchangeably, although they are not the same thing. This mix-up has created some confusion in the masonry industry. Tuckpointing and repointing both involve adding new mortar joints to a brick structure, but each is slightly different. If your chimney, wall, or any masonry structure has mortar damage it needs some help, but do you need tuck pointing or repointing? Repointing and tuckpointing involve digging out mortar joints to a certain depth and then refilling them with new mortar. Repointing is the actual process of removing damaged mortar joints and renewing them. Tuckpointing is similar in that it involves filling in pre-cleaned mortar joints, but it isn’t always done for damage control. Tuckpointing is a style used for pointing that includes the use of two different colors of mortar in order to alter the appearance of mortar joints. Tuckpointing includes using two different colors of mortar to fill in mortar joints of brickwork. One of the two colors used for tuckpointing is made to match the actual bricks so that it blends in and creates a seamless appearance. The second color is different, and is used for the actual appearance of mortar joints. By sandwiching the alternate color between the brick-colored mortars it creates the illusion that mortar joints are very fine as opposed to thick. The method for tuckpointing was invented in England near the late eighteenth century. It was derived in order to imitate the appearance of rubbed brick, a more expensive building material that quickly gained popularity during this time. Homeowners looking to copy the appearance of high-end rubbed bricks turned to tuckpointing as a way to achieve the appearance without spending as much money. The true definition of tuckpointing is used far less often today, although it is not completely forgotten and remains interconnected with the modern day process of repointing. 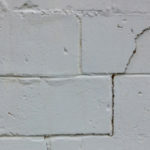 Repointing is the actual process of filling in or repairing joints on brickwork that are damaged, cracked or crumbled. The mortar joints are incredibly important, as they help support the entire structure. When mortar joints become impacted by damage it is very easy for water and other elements to seep in. Eventually, these exposures lead to the destruction of a masonry structure. In order to prevent further damage, repointing is conducted to reseal mortar joints. Why And When Does Masonry Mortar Break Down? Stone and brick masonry are proven to stand up to the test of time, although that doesn’t mean they are free of all maintenance. A brick wall can last 100 years without any repairs, but the mortar joints may start to show signs of wear and tear within 20-30 years. 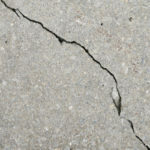 If mortar joints are crumbly, cracked or otherwise showing signs of damage they require repairs right away in order to protect the longevity of a masonry structure. 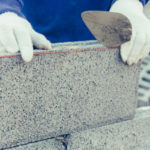 Typically, only certain parts of a structure require repointing, and this is a good thing because original mortar joints are greatly preferred. Since only a portion of mortar is repointed, the new mortar must closely resemble original mortar joints. Otherwise, you end up with a non-cohesive look that people will notice right away. 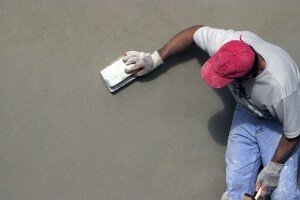 Using the right type of mortar is about more than just color. If the new mortar is too strong it will impact the stability of the masonry structure, and damage it further. The mortar selected for the job needs to be of the same strength or slightly weaker than the original mortar. This is best left to a professional, and can be achieved by identifying and comparing the material structure of the original mortar. Unsure what your masonry structure needs? Contact the professionals at Turnbull Masonry for superior service, reliable repairs and competitive pricing.